Here is my latest seat with a HOG design. It measures 31cm wide and 38cm long. Leather top and bottom with roo lacing and one inch of neoprene foam. 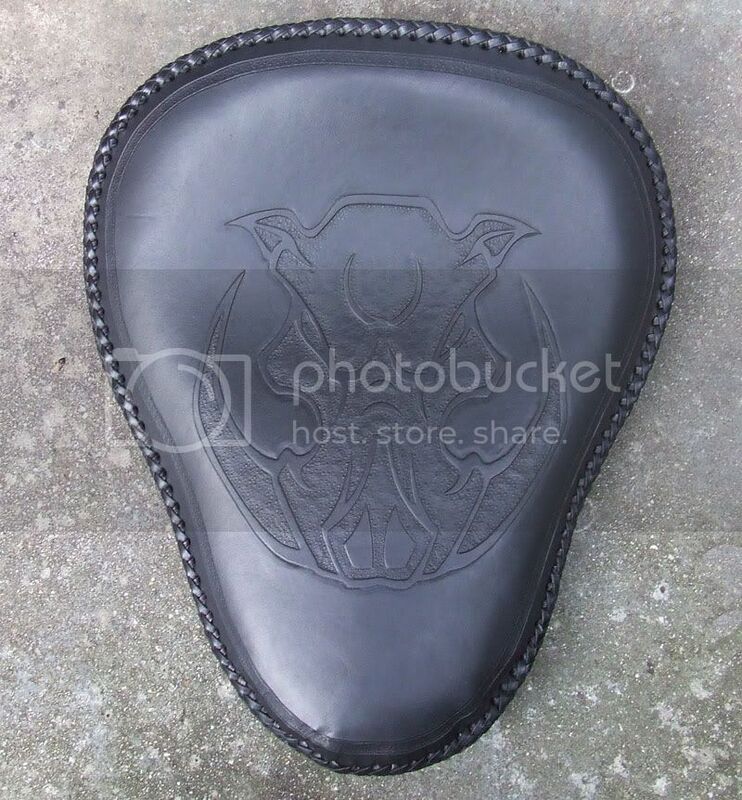 There is a very small puckering of the leather at the nose which will probably flatten out with usage, so i am selling this seat at the bargain price of $280 with free postage in Australia or pickup from Geelong. PM me if you are interested or you can click the BUY NOW on my blog and pay with PAYPAL.